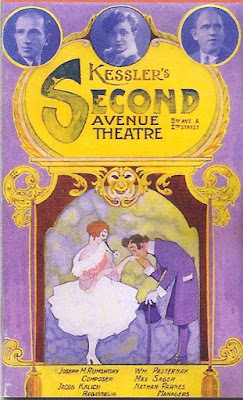 Our post of 6 June 2014 concerned the New York performance of Joseph Rumshinsky's Di goldene kale (The Golden Bride), a 1923 Yiddish-American operetta. The performance, with piano accompaniment, was based on a score prepared by Michael Ochs in conjunction with his critical edition forthcoming in Music of the United States of America (MUSA). The MUSA volume includes the full score, lyrics, and libretto in transliterated Yiddish, together with an English translation. This work is the first from the entire Yiddish-American musical stage to appear in print in any form other than vocal scores of individual songs. COMING SOON: a concert version with full orchestra will conclude the summer concerts at Rutgers University on August 5, 2015 at 7 p.m., details HERE. It is said that ticket sales are vigorous. 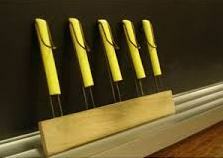 There have been many calls recently to teach by doing, to show the research process rather than merely recite results. It is difficult to open a copy of The Chronicle without finding at least one article along these lines. Take, for example, “Is ‘Design Thinking’ the New Liberal Arts?” by Peter N. Miller (The Chronicle Review, 3 April 2015). In describing design thinking, Miller offers a series of “easy-to-grasp principles,” such as “Show Don’t Tell,” “Embrace Experimentation,” and “Bias Toward Action.” Although Miller’s article pertains to a graduate program in the School of Engineering at Stanford, it also resonates with musicology. Given that music is a performing art, the idea of “performing musicology” doesn’t seem like much of a stretch. I did a Google search to see if this phrase is in common use and found only two significant examples: a Study Day in 2011 co-sponsored by the Royal Musical Association, City University, and the Guildhall School of Music and Drama on the “fusion of musicology and performance,” along with many references to performing the song “Musicology” by Prince! There is also the book Performing Ethnomusicology, edited by Ted Solis, which focuses on teaching world music performing ensembles. All of these instances of “performing musicology” emphasize some aspect of music performance. In this essay, I would like to repurpose the phrase from the sole purview of music performance and redefine “performing musicology” as performing the processes of musicological research. Of course, as musicologists, we have a natural advantage in terms of “showing” rather than “telling,” since we study a performing art. 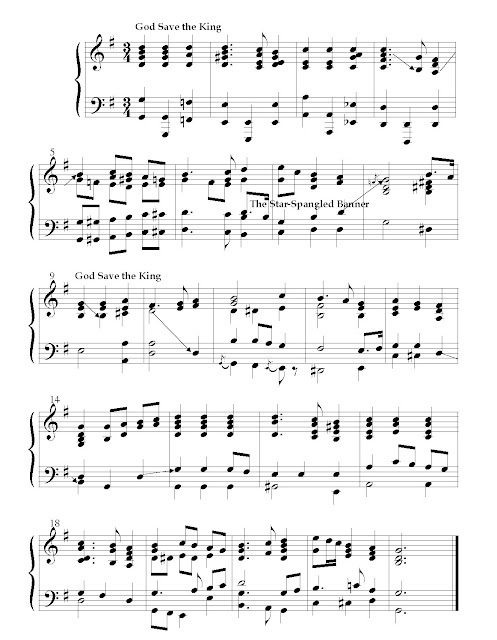 Rather than merely explaining the structure of a deceptive cadence or chromatic deflection, for example, we play examples to give the harmonic motion its aural manifestation. But we can go further. 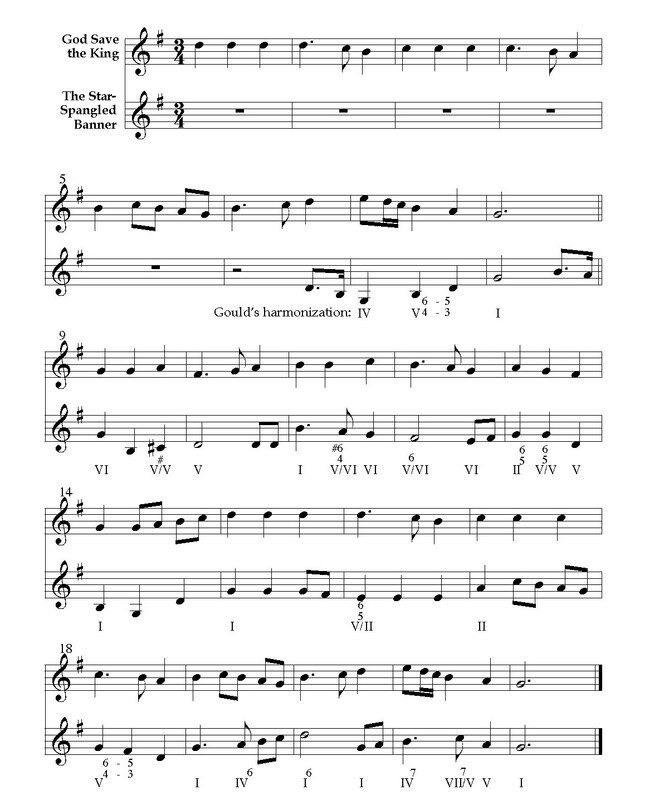 In a class on the history of the art song or Romantic music, we can take Schubert’s “Ständchen” and not only demonstrate how Schubert slides chromatically from a four-bar dominant pedal in D Minor to an F-sharp 6/5 chord, but also give alternatives: what does the passage sound like if it moves to the tonic (triumphalism on the part of the lover!) or directly to the submediant (too hesitant?)? Deconstructing and re-engineering familiar music can give the beginning listener a you-are-there sense of compositional decisions in light of an historical toolbox of stylistic possibilities. Given the necessity of transmitting a heavy load of information, however, or a large repertory of music, music assignments can quickly turn into memorization exercises that drain all sense of discovery out of the process. My revelatory moment came when I introduced my students in an Early Music class to a musicological text that, in contrast to more traditional textbooks, openly engaged with gaps and dissent within our knowledge base.The students’ reaction stunned me: why, they asked, weren’t such readings regularly made the basis of music courses; in fact, they previously had thought that musicology was “done.” Think about that—musicology as done, finished, over, nothing more to learn. It had never occurred to me that by teaching the “history” of music (when this happened, when that composer lived, how this piece is organized, what that composition means—all integral to a strong foundation in musicology) we risk imparting an absence of exploration and discovery in the research that we love. In the Schubert example, which explores compositional options within a specific historical period, the idea of performing musicology, or opening up the compositional process, seems natural enough, but what of other activities a musicologist undertakes? The range of topics and research methods in our field is very broad. The books supported by the AMS that have been published so far in 2015 provide a glimpse: Beethoven, Schumann,and Wagner; the castrato; the late medieval motet; music during the Cold War; tuk music in Barbados; Johanna Beyer; and French pop music. How might such historical research be “performed”? In a thoughtful article by Anthony Grafton and James Grossman, “Habits of Mind” (The American Scholar, Winter 2015), the authors describe the currently-popular narrative that defines research in the humanities as narrowly focused and,compared to STEM subjects (science, technology, engineering, math), “useless.” Then they dismiss this continuing discussion about the humanities, arguing that “generalizations . . . do violence to the facts on the ground,” and they choose to “talk about one discipline instead”—history, a field “born in research.” They emphasize the importance of going into the archives to teach. Although they rightly point out many places where this is already happening, they believe more of this kind of teaching is needed. Why? “Partly because it’s the only way for a student to get past being a passive consumer and critic and to become a creator, someone who reads other historians in the light of having tried to do what they do.” In other words, just as one can move beyond being a passive listener by understanding something about the kinds of choices Schubert faced, one also can engage with the work of a scholar by following the research path to the results and seeing how information is gleaned and decisions made. I can’t think of any aspect of musicology that couldn’t be made intrinsically interesting to students or a wider public through the “performance” of its process. Cultural studies (context), meaning and interpretation (semiotics), connoisseurship (analysis and aesthetics) seem obvious choices for this kind of exploration. But what about, say, rastrology? 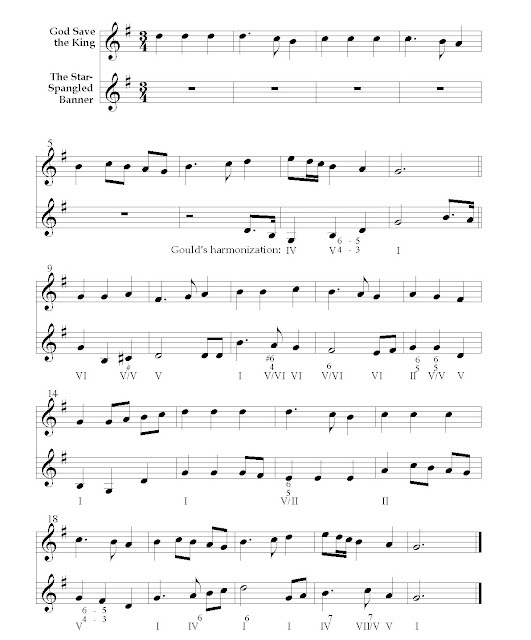 I actually have seen audiences intrigued to learn how music paper was prepared for and by composers, how and what information is embedded in the layout of the paper, and what different kinds of rastrals look like. (For some, an immediate and nostalgic connection can be made to the old chalk rastrals used in many elementary schools years ago—when music was a regular part of the curriculum.) Rastrology, like source studies more broadly and archival research, represents a form of musicological-historical detective work. Far from being esoteric and difficult, it resonates with great fiction by Umberto Eco and Charles Dickens. In The Woman in White, by Wilkie Collins, the resolution hinges on disentangling falsified and original documentary evidence (birth certificate, marriage contract, confinement papers). Some sense of this narrative excitement belongs in the research stories we tell. The repeated calls for showing rather than telling pertain as much or more to musicology as any field. Many of you already do this in the classroom and are undoubtedly ahead of me. Dealing with difficult suppositions and challenging music almost demands it. Moreover, as we work on “performing musicology” in front of our students, we also lay the groundwork for an enhanced public musicology that will demonstrate the discovery process and excitement of what we do to a wider audience. Musicology isn’t obscure, esoteric, or “done,” and we have an obligation to our field and society at large to find ways of making that clear. Ellen T. Harris is president of the American Musicological Society. This President's Message appears in the August issue of the AMS Newsletter. We repost Dr. Lorenz's fascinating study with his gracious permission and at the recommendation of John Rice. 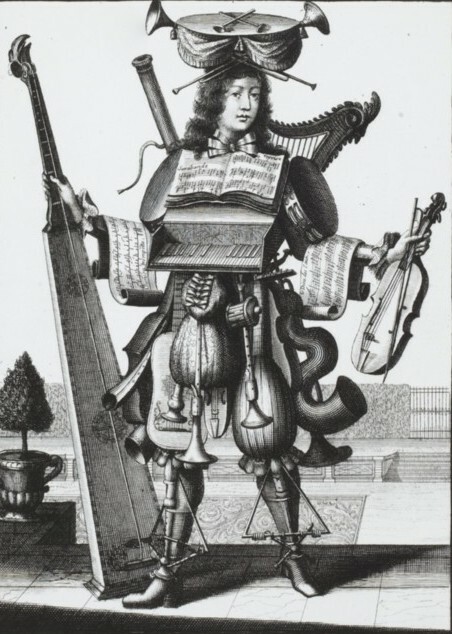 It appeared 22 July 2015 on Lorenz's blog, Musicological Trifles and Biographical Paralipomena. In December 1652 Ferdinand III went to Regensburg to take part in the Diet of Regensburg, which was supposed to negotiate the unresolved issues of the Peace of Westphalia and resulted in the Youngest Recess of 1654. During their stay in Regensburg the Emperor and his wife Eleonora resided at the so-called “Bischofshof,” the residence of the prince-bishop of Regensburg, Franz Wilhelm von Wartenberg. 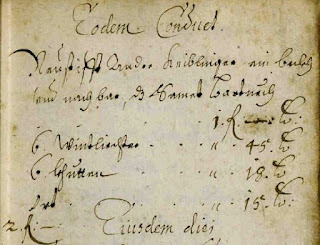 Because the imperial couple's activities as godparents during their stay were recorded in the earliest surviving baptismal register of Vienna's Imperial Chapel in the Hofburg Palace, we know that in Regensburg Ferdinand and Eleonore each served twice as godparents: on 16 June 1653 Empress Eleonora, together with her stepson Ferdinand IV, stood godparent at the baptism of Eleonora, a daughter of Count Ferdinand Karl zu Löwenstein-Wertheim-Rochefort (1616–72) and on 15 November 1653, together with her husband, she served as goodparent of Sophia, a daughter of Maximilian, Prince of Dietrichstein. The Emperor's two godchildren during his stay in Regensburg were the aforesaid Princess Dietrichstein and a young man from Africa who on 10 August 1653, in the St. Michael's Chapel of the bishop's palace, was christened Ferdinand Christian by the Regensburg prince-bishop Franz Wilhelm von Wartenberg. It seems that this African had belonged to the entourage of one of the attendees of the Diet and Ferdinand III decided to take the young man under his protection. (A-Wd, Tom. 22, fol. 149v). The note "1.2.3." at the beginning refers to the three publications of the banns. How did a black drummer in the I. & R. military in Vienna make the acquaintance of a girl from Upper Austria? Elisabeth Keyblinger was born on 8 February 1640 in Steyr, the daughter of the master baker Andreas Keyblinger and his wife Christina. 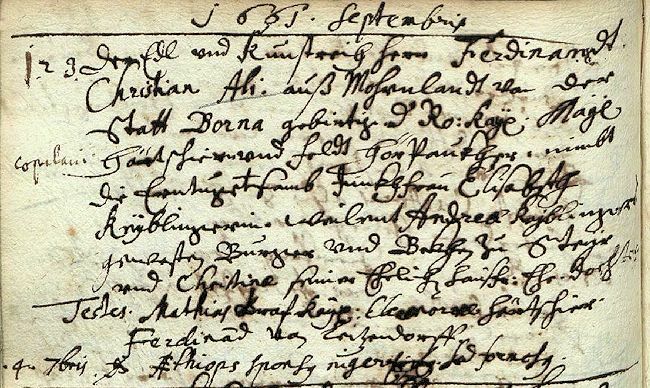 The entry concerning the baptism of Elisabeth Keyblinger. also appears as "Ghoblinger" and "Khäblinger" (Steyr, Stadtpfarre Tom 1, p. 443). 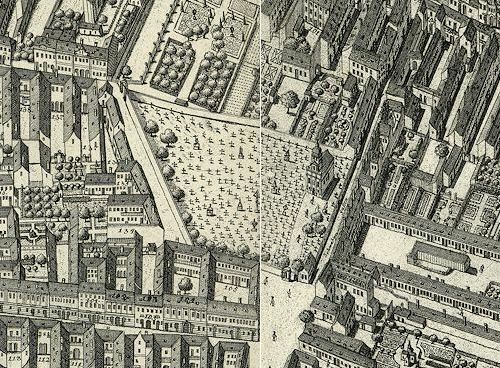 Around 1650 Elisabeth's family moved to Vienna where Andreas Keyblinger established a bakery in the suburb of Neustift. He might well have supplied the army with baked goods which brought his daughter into contact with her future husband, the black tympanist. The presence of Elisabeth Keyblinger's family in Neustift is well-documented. On 19 June 1667 her brother Andreas Keyblinger (b. 30 November 1641 in Steyr [Stadtpfarre 1, p. 488]) got married at St. Ulrich's Church (St. Ulrich, Tom. 2, fol. 108v, and A-Wd Tom. 23, fol. 268r). 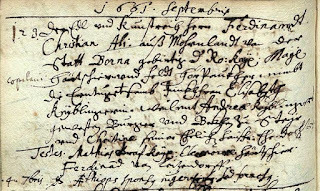 On 11 September 1652 Elisabeth Keyblinger's father died in Neustift and was buried on the following day in the St. Ulrich parish cemetery. 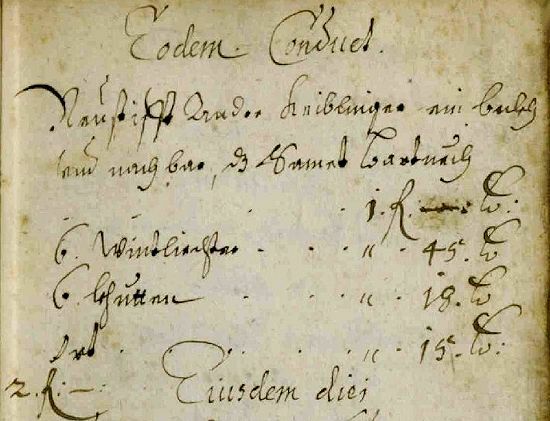 To keep the bakery going, on 18 January 1653 Andreas Keyblinger's widow Christina married the “beckhenjung” (apprentice baker) Christoph Loder from Gleisdorf in Styria (St. Ulrich, Tom. 1a, fol. 108v). 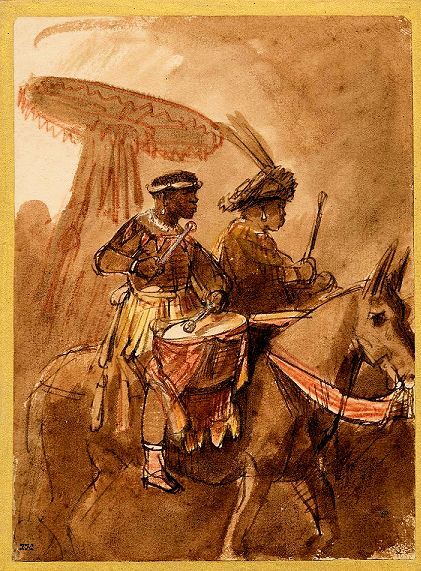 Rembrandt van Rijn, Black Drummer and Commander, ca. 1638. Michael Lorenz is a noted archival scholar of the Mozart-Haydn era, based in Vienna, homepage HERE. 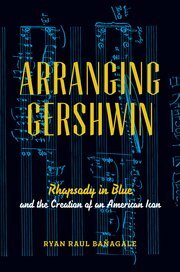 OUP published Bañagale's Arranging Gershwin: Rhapsody in Blue and the Creation of an American Icon in 2014. Bañagale is Assistant Professor of Music at Colorado College. Alan's death is a sad shock. For those who don't know the details (which I received from Jennifer Curtis, his first wife—and daughter of the Charles Cushing, legendary professor in our own department), he died on his way into the hospital where he had an appointment to see his doctor. He had fallen and cracked the back of his head, and they're still trying to sort out whether he had a heart attack, a stroke, or perhaps died because of loss of blood. I first knew him in 1975 when I arrived as a graduate student. He immediately took me under his wing, and I vividly remember a session when he demonstrated to me at the Skowroneck harpsichord in 116 Music what was so extraordinary about the Courante from Couperin's second Ordre, with its unprecedented series of descending seventh chords. 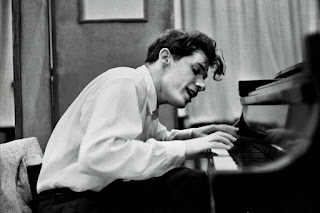 I also remember his glee at pointing out a magnificent unprepared—and unresolved—ninth chord in a C-major Louis Couperin prelude (“long before Debussy!”). He had a reputation for arriving back in Berkeley in the second week of each quarter and leaving in the penultimate week. But in those days, long before emails and electronic attachments, he did whatever was necessary by mail, keeping in close touch with the students who worked with him. Every day, in the department office, the “Out” mailbox was filled with his correspondence, much of it addressed to festivals and record companies around the world. He worked very hard at his several separate careers. I kept in close touch with him after I left Berkeley in 1980, meeting him whenever he was in Paris for a concert. After his retirement from the University of California, over the last 20 years, Christian and I have often spent two weeks in Venice in Alan and Piero's apartment there. Apart from the direct view onto the Doge's Palace in Piazza San Marco, there was an antique Italian organ, an antique Walther fortepiano, and an excellent modern harpsichord. We also visited them several times in their spectacular home just outside Florence. “It's just 40 yards south of Florence,” Alan would say (referring to the official sign—FIRENZE—by the roadside), and we would have dinner at a local restaurant in a building where Galileo had lived. Their latest venture was the restoration of a beautiful historic building in Naples, some of whose walls are covered with frescoes by an important Neapolitan 18th-century painter. It's very sad that Alan never had the chance fully to enjoy life in that newly finished home in Piero's home town. The Venetian apartment (bought largely with his fees from conducting at La Fenice) and the Florentine home (part of a 14th-century castello) were filled with beautiful paintings, antique furniture, and antique instruments. When I taught summer courses in Venice for ten years, at the Cini Foundation (1989–99), Alan would always come up to Venice specially for my recital and take me out to dinner afterwards. He was warmly friendly and generous with career advice. His last email to me, just a couple of weeks ago, was helping with an issue with a recording company. His book on Sweelinck remains an essential study of the composer. His edition of Monteverdi's Poppea is likewise fundamental. But his best and most original research was actively published in concerts and recordings, not in articles and books. The research could be heard by those who knew what they were listening to. The set for Virgin of Monteverdi duets is breathtakingly beautiful. Christian and I went a few years ago to the Spoleto Festival in Italy to hear his reconstruction of a Vivaldi opera, Ercole su'l Termodonte. Alan was delighted about the fact that one of the things that got this reconstruction so talked about was that the main singer who sang Hercules was entirely naked on stage (apart from a lion's skin down his back) until the end of Act III, when his soldiers clothed him in royal robes. The singer had grown up in a Californian nudist colony and wasn't the slightest bit bothered about singing coloratura da capo arias with no clothes on—he'd been singing in public naked since he was 15 and apparently he was the one who had proposed the idea! But the scholarship behind the production was solid and important. The libretto survives but no score was known. It took Alan over 30 years to assemble most of the arias (I think he found 28 out of the 31) from eighteenth-century anthologies and arrangements, pieces he could identify from the libretto. He painstakingly put them in order, reconstructed the orchestration, and borrowed an appropriate overture from another work. The only thing missing was the recitatives, which had to be composed afresh (DVD HERE). Davitt Moroney, the noted Baroque keyboardist and music scholar, is Professor of Music at the University of California, Berkeley, and University Organist there. 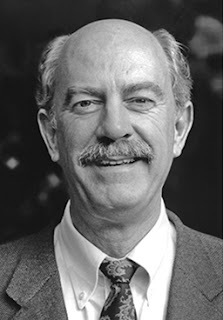 Alan Curtis died unexpectedly in Florence on Wednesday, 15 July 2015. He was 80. Alan's contributions to our discipline have been so numerous, it is hard to even known where to begin. An extraordinary harpsichordist and conductor, a kind, gentle, and generous soul, Alan was a brilliant and highly committed musicologist, whose long career exemplifies the ideal marriage of scholarship and performance. I think of his extraordinary recordings with Il Complesso Barocco—always thoughtful and musical (and entirely without gimmicks)— in which he introduced so much new repertory; his commitment to producing responsible performing editions, such as those of the late Monteverdi operas; his numerous oft-cited publications; and of course his mentorship of generations scholars, musicians, and singers (mostly recently one of our own undergraduate countertenors). When I saw him last October in Princeton, he spoke with such enthusiasm and energy about his many ongoing projects one could scarcely believe he had just turned 80! Also: Charles T. Downey's fine post, from Ionarts. Musical diplomacy seems to be everywhere today. From US Department of State programs like Next Level or OneBeat, to concert diplomacy in India and Pakistan, to the musical nation-branding of South Korea, nations and individuals alike are investing time, emotion, and resources into music in the pursuit of power and peace. Musical diplomacy has experienced a strong resurgence in recent decades, as practitioners and theorists of international relations have had to adapt to new modes of communication and quickly evolving ideologies. Both governmental and non-governmental actors devoted to cultural diplomacy have reiterated music’s centrality to building and maintaining peaceful relationships, from Secretary of State John Kerry to Mark Katz, who runs Next Level at the University of North Carolina, to Mark Donfried, director of the Institute for Cultural Diplomacy. Meanwhile, such public diplomacy scholars as Nicholas Cull (director of USC’s Center on Public Diplomacy) have argued that musical practices and institutions offer an especially effective and desirable manifestation of power. Most significant is the recent emphasis on people-to-people (P2P) contacts as a means of fostering diplomatic relations. As a result, today’s musical ambassadors are most likely to be practitioners of “popular” musics. That is not to say that the orchestral tour is no longer relevant. The reopening of US-Cuban diplomatic relations, for example, has resulted in as many as 24 US orchestras announcing plans to go to Cuba—led by the Minnesota Orchestra, which had performed on the island back in the 1960s. The topic of music and diplomacy has also fueled much recent scholarly work. In the past three years, interdisciplinary conferences have taken place in Greater Boston (“Music and Diplomacy,” 2013; organized by the authors of this post), Utrecht (“Negotiating Music,” 2013; curated by Ahrendt), Berlin (“Culture and International History V,” 2014), and Los Angeles (“Harmony or Discord: Exploring the Impact of Music Diplomacy” 2015). Another conference in Hanover, Germany, highlighted the activities of composer-diplomat Agostino Steffani (2014). In addition, the 2013 annual meeting of the AMS in Pittsburgh included two sessions on this topic: “Music, Diplomacy, and Social Networks in the Long Eighteenth Century” and “Cross-Border Encounters in the Global South: A New Look at Cold War Cultural Diplomacy.” Two additional conferences are scheduled to take place in Europe in 2015–2016: “Popular Music and Public Diplomacy” at the Technische Universität in Dortmund, Germany, and “Sounds and Voices on the International Stage: Understanding Musical Diplomacies” at CERI-SciencesPo and CERLIS-Sorbonne Nouvelle in Paris. Along with this flurry of conferences comes an impressive array of new books. The twentieth century is well represented, with scholars considering new lines of inquiry and bringing to light previously unavailable documents. Carol A. Hess’s Representing the Good Neighbor: Music, Difference, and the Pan American Dream (Oxford UP, 2013) considers the shifting reception of Latin American music and musicians during the Pan American period and beyond. Danielle Fosler-Lussier’s Music in America’s Cold War Diplomacy (University of California Press, 2015) contributes new insights to a much-discussed period in the history of international relations. The book boasts a robust companion website—treated in an earlier Musicology Now blogpost—featuring a searchable database of performances sponsored by the US State Department between 1954 and 1980. Cadra Peterson McDaniel examines dance as an instrument of diplomacy in American–Soviet Cultural Diplomacy: The Bolshoi Ballet’s American Premiere (Lexington Books, 2015). And two new edited collections explore music’s place in twentieth-century cultural and political relations: Felix Meyer, Carol J. Oja, Wolfgang Rathert, and Anne C. Shreffler, eds., Crosscurrents: American and European Music in Interaction, 1900–2000 (Boydell, 2014) and Jessica Gienow-Hecht, ed., Music and International History in the Twentieth Century (Berghahn, 2015). Both practically and intellectually speaking, interest in musical diplomacy has never been greater. And yet, our knowledge of the history and scope of musical diplomacy remains very patchy. Geographically, it mostly centers on the US, Europe, and the former Soviet Union; temporally, on the seventeenth century and the Cold War. At the heart of most recent developments in musical diplomacy, too, are a number of assumptions that remain inadequately examined. First and foremost among them is the belief that music—the “language of emotions”—is indeed a universal means of communication. Such assumptions have resulted, and continue to result, in unfortunate missteps on the international stage, particularly with regard to repertoire choice, performative competencies, and the agency of musicians. In Music and Diplomacy from the Early Modern Era to the Present (Palgrave Macmillan, 2014), we made an argument for studying music and diplomacy across the longue durée. It should come as no surprise that history sheds much-needed light on fundamental concepts like “harmony” or the “universality” of music, too often used without contextualization. Exploring the function of music in international relations, we address questions central to the field of diplomacy regarding the determinants of political decisions, the nature of representation, the role of women and gender, and the performance of power. Engaging with this long history also offers new ways of thinking about present-day programs. Viewing the conventions, ideals, and practices of today’s musical diplomacy through a historical lens, we suggest, might allow us to better shape future actions on the international stage. While it necessarily falls to state departments and NGOs to coordinate such efforts, music scholars can help by providing the historicization needed to guide decision-making processes. 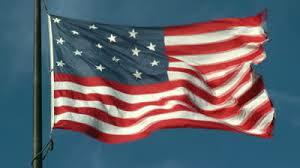 Music, we emphasize, has historically played a part in virtually all aspects of diplomacy, both traditional and public. It has not only provided actors with yet another medium of representation and communication, but also offered a third term—a common ground—for parties otherwise at odds. As a social performance, it is also a locus of negotiation where actors can practice discord and cooperation. The history of diplomacy resounds with music. When we dismiss what happens beyond the negotiation table and the office desk as irrelevant, we are, in effect, remaining deaf to the past. Rebekah Ahrendt is Assistant Professor in the Yale University Department of Music. Mark Ferraguto is Assistant Professor in the Penn State University School of Music. Damien Mahiet is an independent scholar.